Scientists have discovered an enzyme that could be used to break down some commonly used plastics. Dan and Catherine teach you the language the world's media is using to discuss this story. British and American scientists have found an enzyme on a Japanese recycling plant that they believe could help in the fight against plastic pollution. Dan and Catherine bring you the language you need to talk about this story. Scientists have created a protein that can break down plastic. Break down is a verb with many meanings. Which of the following is NOT a meaning of break down? US and British scientists have created a plastic-digesting enzyme that can help in the fight against plastic pollution. They’ve made an improved version of a natural enzyme that’s evolved the ability to feed on plastic. 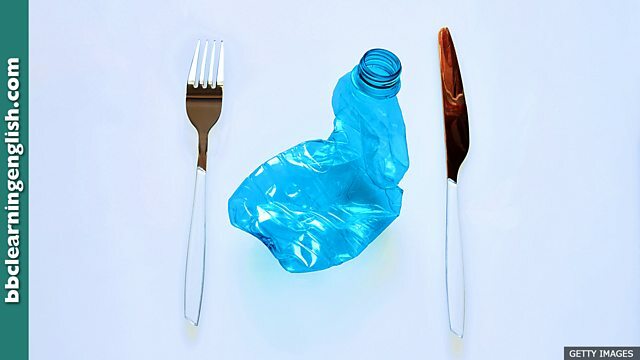 Tests show that the new engineered protein could break down one of the most popular forms of plastic widely used by the food and drinks industry. There is only one letter 'a' in this word. 'Devour' means 'eat, use or consume totally and quickly'. Which of these words is NOT a synonym for 'devour'?